The CD-2R provides redundant control as a backup for a primary control system (e.g. Contegra's Station Master 700 Series). 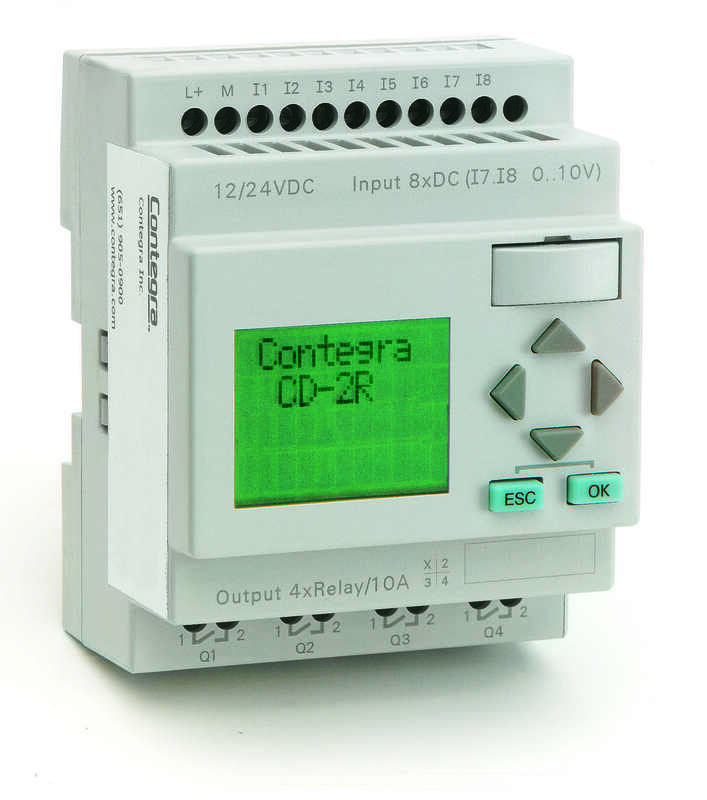 The CD 2R redundant controller provides backup in case the primary controller failure. The CD-2R’s outputs are wired in parallel with the primary system’s control contacts. The CD-2R can use either two float switch On/Off inputs, for differential level control, or a single abnormal level float switch input with a “timed off” function. The CD-2R’s “timed off” function is a programmable off-delay timer that continues the pump(s) operation after the single ‘abnormal level’ switch has opened. The off-delay timer is adjustable from 0-10:00 minutes. The alarm circuit automatically silences and resets following the end of each pumping cycle.